Beachcomber Fiberglass Technology offers sturdy outdoor fiberglass trash receptacles that eliminate the risk of animal intrusion and odors from open-air trash bins, while providing a heavy, stable bin that resists the elements. 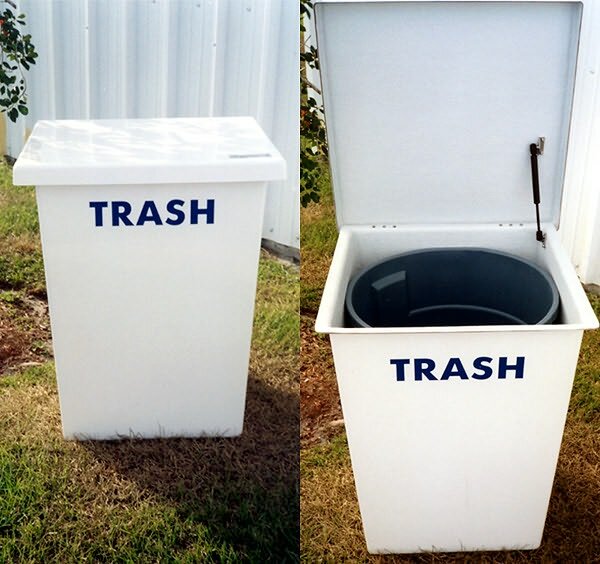 Trash Bins are 32 inches L X 30 inches H X 27 inches W and feature all stainless hardware, high gloss white gel coat finish, automatic gas shock lift holder and a 35-gallon Rubbermaid trash barrel. Each comes with a 2-year warranty. For more information, visit www.beachfiber.com.